We help our customers constantly improve their transportation networks and gain a competitive advantage, by giving them the means to get products to market faster and more efficiently. DEX partners with only the largest logistics providers to deliver freight of any kind, to any place via air, ocean, road or rail, on time and efficently leaving the smallest carbon footprint possible. DEX understand that each client's shipping needs are unique, and often clients may have varying needs from shipment to shipment. That is why our transportation solutions, like all of our other solutions, are flexible and customizable from instance to instance. 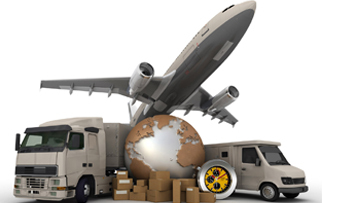 In addition to other transportation variables, we create custom pricing options to meet the individual needs and budgets of our clients, allowing to greater freedom in how they choose to manage the transport sector of their business. DEX is also committed to assuring your shipments arrive one time, as-scheduled. We provide end-to-end visibility, so you can track your product and enjoy confidence in our commitment to your business schedule.